Today’s air traveler has three options, buy an airline ticket, buy a private jet or charter a jet. 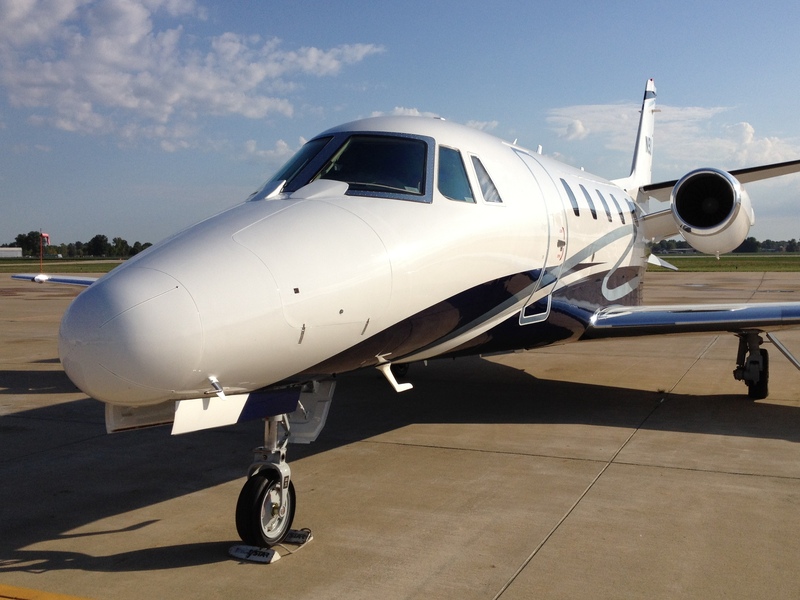 The charter option gives you all the benefits of owning a jet without the downside of ownership. You get the convenience owners have without any of the ownership expenses or headaches. Thousands of air travelers have given up the frustration and inconvenience of flying the airlines for the hassle free experience of flying on a charter jet. FAA Certified Air Carriers or Air Taxi Operators provide a wide range of jet aircraft ready to satisfy the needs of today’s busy air travelers. Flying with a charter company comes with all the conveniences of owning a jet bu none of the downside. Many charter operators have a variety of aircraft to fit varying missions and provide the aircraft and crew that best fit your needs. This type of flying gives you control over your travel schedule, privacy and access to thousands more airports than the scheduled airlines serve. Your jet departs on your schedule, there’s no frustrating check in process, and it takes you closer to where you want to go. Every seat is first class and many charter aircraft have ac outlets for portable electronics. On the day you’ve scheduled your trip, drive up to the aircraft. The crew will take your bags and you step from your car to your private jet. No waiting. Running behind; no problem. We’re leaving on your schedule not ours. To set up your first charter flight, call your local airport and ask for the names and phone numbers of local Air Taxi Operators. They’re also referred to as 135 operators. When you call they’ll want to know where you want to go, time of departure, when you want to return, any intermediate stops you want to make, how many people are going, how much baggage you’re taking, catering requests if any, and if you need ground transportation arranged at your destination. Each operator call back with a quote and you select the company that best meets your needs. Be sure to ask about any additional fees like airport landing fees, overnight fees, pilot wait time, or hanger. Most operators charge by the mile or by the hour. You can expect to be quoted for the round trip whether you’re going one way or not and a minimum of two hours a day when the aircraft sits. This entry was posted in Uncategorized and tagged aviation, aviation images, aviation photos, aviation pics, cessna, charter aircraft, charter flights, general aviation, how to, jet, jet aircraft, jet flights, jet planes, on demand charter, private jet on September 23, 2012 by James Sorsby. This entry was posted in Cessna Citation and tagged apf, aviation aircraft, ce550, cessna, cessna 550, cessna citation II landing, cessna jet, charter jet, citation, citation 550, citation cesssna, citation ii, cockpit, jet plane landing, jet planes, landing, naples, planes jet on September 15, 2012 by James Sorsby. A Cessna Citation 550 charter jet crosses the beach at Naples Florida for a landing on runway 23 at APF. Landing view from the cockpit. The Naples Florida airport is just off the beach and landing on a clear day offers a great view of the beach area. Naples is not served by scheduled airline service, so the only flights in and out are general aviation flights or corporate jets. This entry was posted in Cessna Citation and tagged apf, ce-550, cesna, cessna, cessna citation, cessna citation ii, charter jet, citation 550 landing, citation cessna, cockpit, general aviation, jet aircraft, landing, naples, private jet on September 15, 2012 by James Sorsby. A Cessna Citation Encore, CE-560 private jet instrument panel during a recent night flight. The Encore has a 3 tube Honeywell Primus 1000 integrated avionics system, RDU’s for radio frequency tuning and a Megitt standby attitude indicator for emergency use. The EFIS and MFD indications show this aircraft is flying north at an altitude of 34,000 ft at a true airspeed of 433 knots and is on a direct course to Rochester Minnesota. This entry was posted in Cessna Citation and tagged 560, aviation aircraft, avionics, cessna, citation cessna, citation encore, cockpit, encore, jet plane, night flying, primus 1000 on September 15, 2012 by James Sorsby. A Cessna citation Encore CE-560 lands during a snow shower at the Springfield Illinois airport. This entry was posted in Cessna Citation and tagged aviation aircraft, cessna, cessna citation, cessna encore, citation, citation 560, citation cessna, citation landing, cockpit, encore, instrument approach, landing, private jet, snow, weather, weather aviation.videos aviation on September 10, 2012 by James Sorsby. Three Army MH-47G Special Operations Chinooks do a hover check and then depart. during the first hover check the rotor wash almost knocked me over so I had to move back. This entry was posted in Uncategorized and tagged army aviation, army helicopters, chinook, chinook takeoff, chinooks, helicopter, helicopters, mh-47, mh-47g, military aviation, special operations on September 10, 2012 by James Sorsby. St Martin landings. An assortment of airliners landing at Princess Juliana International Airport in St Maarten. Airlines, corporate, and charter jets cross Maho Beach as low as 50 feet. This is a must see if you ever go to St Maarten which is also called Saint martin or Sint Maarten. This entry was posted in Uncategorized and tagged dangerous airports, landing, maho beach, planespotting, Princess Juliana International Airport, Sint Maarten, St Maarten, st martin, sxm, tncm on September 10, 2012 by James Sorsby. A Friend of mine takes a ride in a very nice North American T-6 Texan. The Texan was used by the US Army Air Force as an advanced trainer during the second world war. It was built by North American Aviation and powered by a 600 hp Pratt and Whitney R-1340 radial engine. Its normal cruise speed is 145 mph. This entry was posted in Uncategorized and tagged aviation history, harvard, military aviation, north american, north american t-6, start, t-6, t-6 texan, takeoff, texan, trainer on September 10, 2012 by James Sorsby. N941NA Aero Spacelines 377 SGT (Super Guppy Turbine) is currently owned by NASA and based at El Paso international Airport. NASA used it primarily to transport parts for the International Space Station. The super guppy was built from the cockpit, wings, and tail of a Boeing C-97. Unlike the previous guppies that used the C-97 fuselage, this version was built with a completely redesigned fuselage. It’s powered by four Allison 501-D22C turboprop engines that can produce 4,680 horsepower each and has a swing nose to facilitate cargo loading. 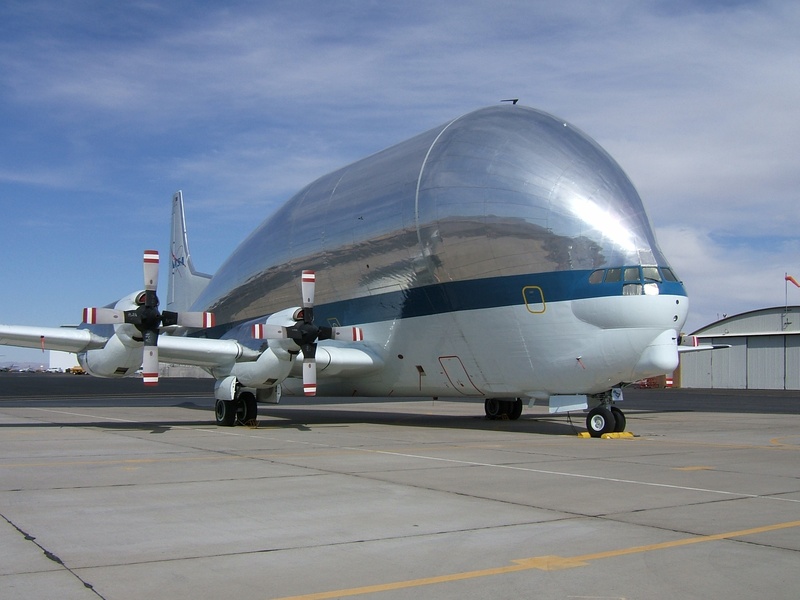 This was the largest and last guppy built and is an important part of aviation history. This entry was posted in Uncategorized and tagged aero spacelines, aviation history, aviation images, aviation pics, boeing c-97, boeing supper guppy, cargo airplane, giant cargo airplane, nasa super guppy, nasa transport, sgt, supper guppy, turbo prop on September 10, 2012 by James Sorsby.